People often ask me how I come up with my DIY ideas... I think one of the best ways to gather ideas is by looking around and seeing what's out there - what you like and then how you can make it your own. 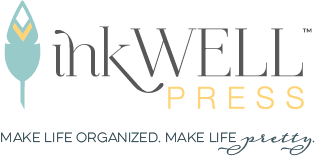 I like to flip through catalogs while watching tv, ripping out pages for ideas, which is how I stumbled onto this idea. 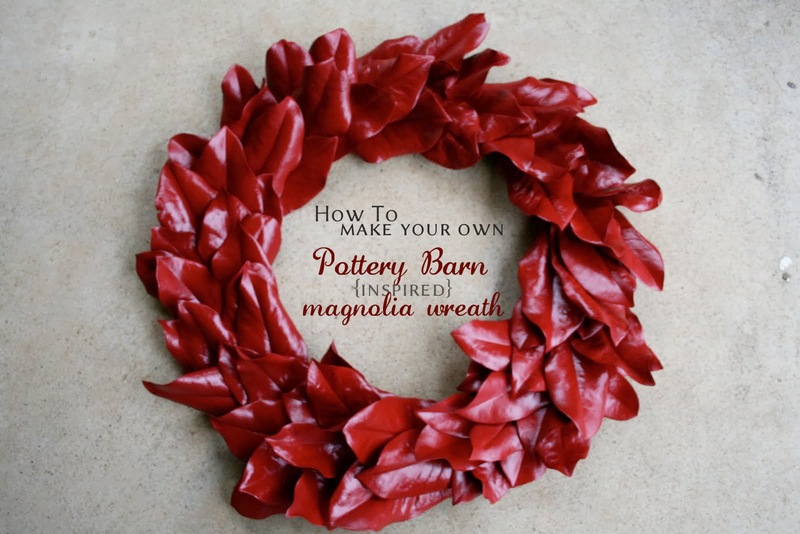 Pottery Barn is selling a beautiful live magnolia wreath for $99. I took one look at it and figured out how I could possibly make something similar for myself. I bumped it up the original idea a notch by making it a glossy red. Jack and I completed this project working together in one afternoon. And for less than $5. Gather your materials - the floral wreath is only $3.99 at Michael's and is soo much cheaper than a styrofoam one. Gather your leaves from a neighbor's yard (they don't have to be magnolia leaves if you don't live near one... use any kind of leaf you'd like). Keep in mind your leaves don't have to be perfect - you don't really want them to be. Lay your leaves out and give them a nice coating of spray paint. Don't worry about the bottom ends since they'll be covered by the layers - just spray the top half. Cut off the stems with a pair of scissors. I had Jack cut all the stems while I worked on step 4. 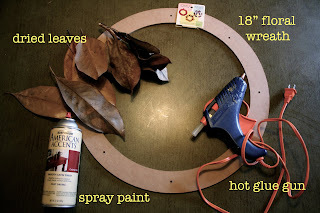 Using your glue gun (or some other type of glue), glue your leaves together in groups of three. Yours should look something like this. Using your glue, attach the first "cluster" to your floral wreath. Continue layering clusters going around the circle. After filling the circle, you may want to go in and fill in some of the "emptier" spots with some of your extra leaves. A couple things... you may notice that I did not paint the back side of my leaves; I liked how that gave the wreath some contrast and I felt like the hint of brown color on the back gave it some depth. I hung mine with those removable 3M hooks, which worked perfectly for this wreath. If you want to hang it from a nail you may want to glue on a sawtooth hanger before attaching the leaves.